Well now, and in consultation with our Moroccan campaigner friends, it was decided that another petition should be started by us here at SAV, also for Moroccan animals. We have decided that the best way to do this is to go directly to the top; and as a result, the petition is politely but directly aimed at His Majesty King Mohammed VI of Morocco. To request direct intervention by His Majesty King Mohammed VI to prevent the terrible suffering of animals throughout Morocco. With intervention by His Majesty to greatly improve animal welfare in Morocco, we feel that this would greatly attract many more tourists to the country – tourists who have recently been shocked by the terrible treatment of animals and who will never return because of what they have seen. When in the petition, click on ‘Letter’ on the left, under the photograph to see the full wording, a copy which is given below. 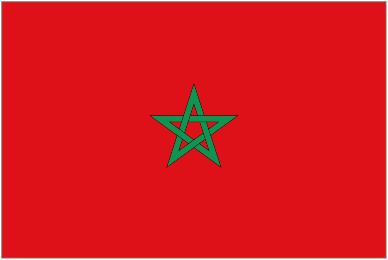 Many of the signators of the petition which is presented here are citizens from around the World who have visited Morocco for their holiday(s). 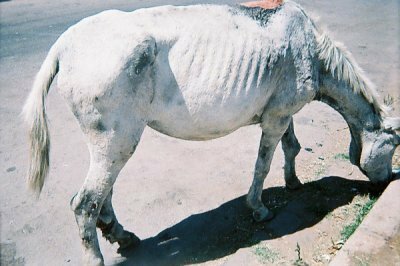 Whilst very much enjoying their stay in Morocco, many of them have been deeply shocked by witnessing the terrible suffering inflicted on many animals – donkeys and horses are left standing and hobbled in the midday sun while their owners rest in the shade; and the terrible condition of harnesses which these animals are fitted with, very often comprising terrible wooden homemade yokes which are not adequate or suitable for the work which the animals are expected to undertake. Animals are also regularly seen to have ulcerated eyes and open and festering wounds to their bodies, which are still beaten by the owners with wooden sticks the thickness of a young childs arm. Cows are tethered on the back of trucks with ropes less than 6 inches (15cm) long; they are left standing in the blazing sun for hours at a time, crying out for water and shade. 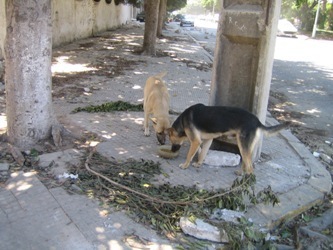 Throughout most towns and cities in Morocco, street animals (cats and dogs) suffer most terribly. Local authorities are poisoning stray dogs and cats on a nightly basis using strychnine poison put onto scraps of food to lure (bait) the animals. They die long and terrible deaths as a result. 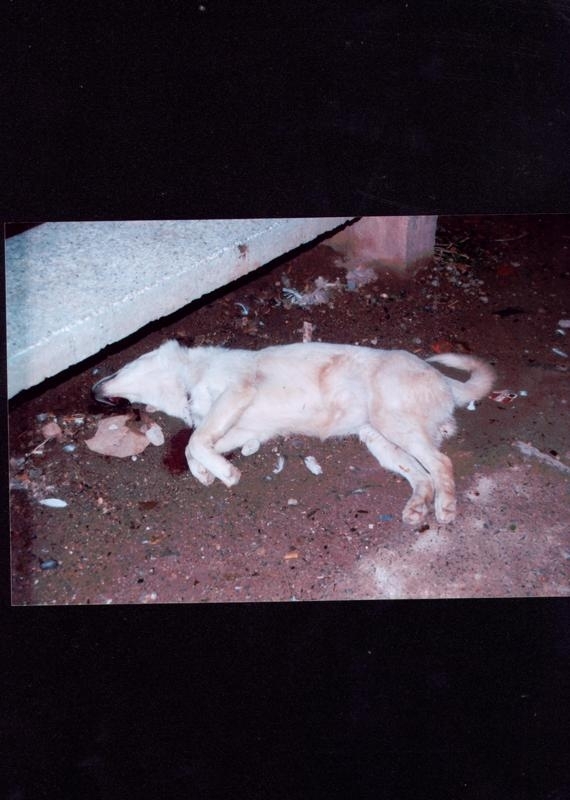 Please see petition photo which shows a dog in the City of Khenifra that has been poisoned using strychnine. Dogs and cats very close to Marrakech (within a 30km radius) are now being killed with strychnine poison. In several cities, dogs are killed by being shot. Unfortunately, some of them are still alive when they are buried. We call on you sir to please act immediately and stop the daily abuses of many animals throughout Morocco. You are a kind and compassionate person; we ask that your compassion be given to other living beings. We have faith that your actions and orders will result in the animals of Morocco being treated with more care and respect. 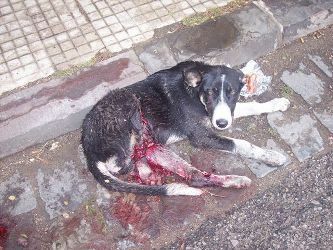 Please can we ask everyone to support this petition to help the animals of Morocco, who at this moment, for street dogs and cats, means being poisoned with Strychnine or otherwise being shot with guns; and then often being buried alive. Please feel free to Crosspost this link to global campaigners. How are all the animals in the pics now? Were they all rescued? Are they all okay now? How are you and everyone you know (both human and nonhuman)? 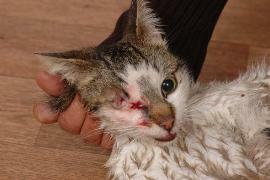 How can I help the sentient beings of Serbian Animals Voice, including the ones in the pics? Thank you 😊 to the moon 🌓 and back. May you and all other sentient beings be perfectly well, healthy, happy and safe forever ♾.